Amandla Stenberg has twice landed on Time Magazine’s annual list of the 30 Most Influential teens. She’s received praise for her activism from Oprah Winfrey, Beyoncé and Gloria Steinem. 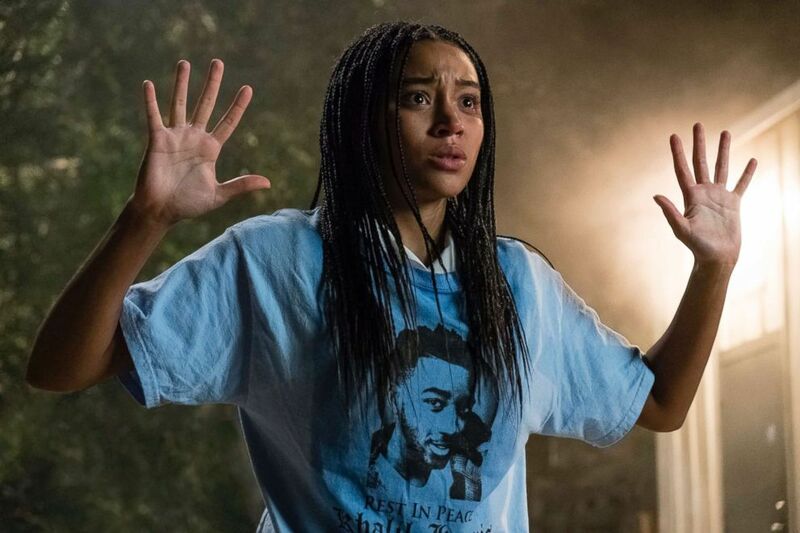 Now Stenberg is starring in one of the most buzzed about films of the year, "The Hate U Give." And she sees reflections of her own life in the role. "I felt like I could relate on a lot of different levels in terms of being biracial and kind of always existing in between in some ways," Stenberg told ABC News. "But then also I had a really similar parallel. I grew up in South Los Angeles, but I went to a school across town that was mostly white and privileged. And so I was waking up in a black neighborhood, but then going to school and being around kids who didn’t really have any way of conceptualizing what my community was or what it felt to be black." 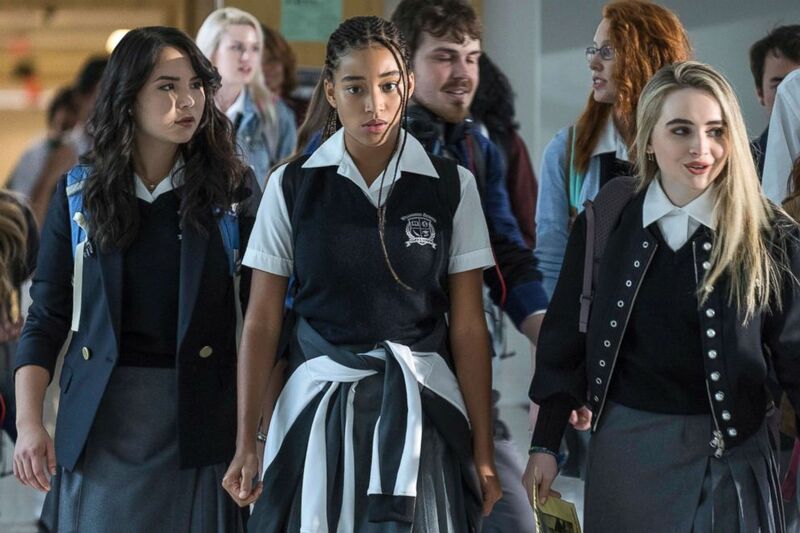 A scene from "The Hate U Give." "The Hate U Give" tells the story of a young girl going back and forth between her black neighborhood and wealthy, white prep school. But when she witnesses the fatal shooting of a best friend, she’s drawn into activism. Stenberg said when she read the book by author Angie Thomas, on which the film was based, she was stunned. "I was like, did she read my diary?" Stenberg said in an appearance on "Popcorn with Peter Travers." "Did she somehow sneak into my home and read my diary? I was really blown away by all the parallels." Stenberg added, "I really felt that what was so powerful about how Angie approached writing it and positioning it, was that she wasn’t afraid to explore nuance and explore these problems not from necessarily just some intellectual place, but from the heart, and from a place of emotion and feeling." Stenberg herself has become a strong voice and activist because of her experiences growing up in the two communities. And she is grateful for her time in the spotlight, receiving praise from other strong female leaders like Oprah Winfrey, Gloria Steinem and Beyoncé. "It’s a huge honor and to have the people that I look up to and respect so much feel similarly about me. It’s absolutely nuts. And I’m just very grateful," she said. 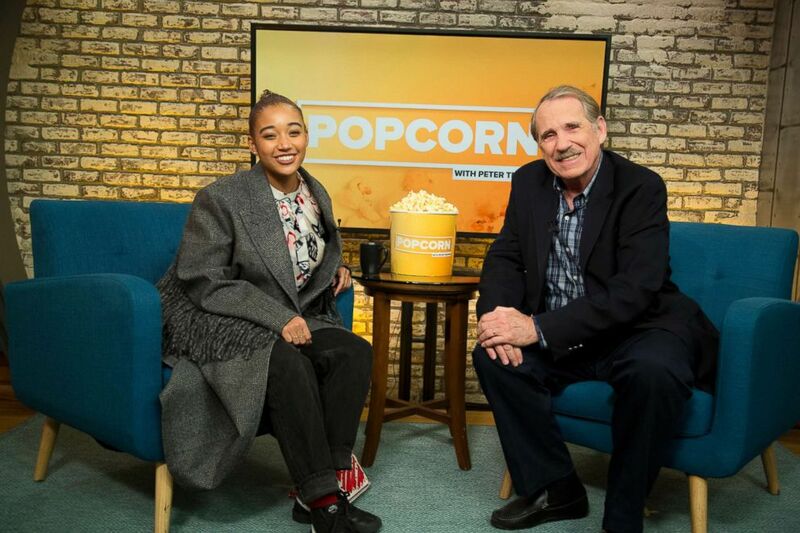 Amandla Stenberg appears on "Popcorn with Peter Travers" at ABC News studios, Nov. 30, 2018, in New York City. "The Hate U Give" is in theaters everywhere. Watch the full interview with Peter Travers and Amandla Stenberg in the video above.